Joseph Gilbert Manning, The Open Sea. The Economic Life of the Ancient Mediterranean World from the Iron Age to the Rise of Rome, Princeton, 2018. A major new economic history of the ancient Mediterranean world. In The Open Sea, J. G. Manning offers a major new history of economic life in the Mediterranean world in the Iron Age, from Phoenician trading down to the Hellenistic era and the beginning of Rome's imperial supremacy. Drawing on a wide range of ancient sources and the latest social theory, Manning suggests that a search for an illusory single "ancient economy" has obscured the diversity of lived experience in the Mediterranean world, including both changes in political economies over time and differences in cultural conceptions of property and money. At the same time, he shows how the region's economies became increasingly interconnected during this period. 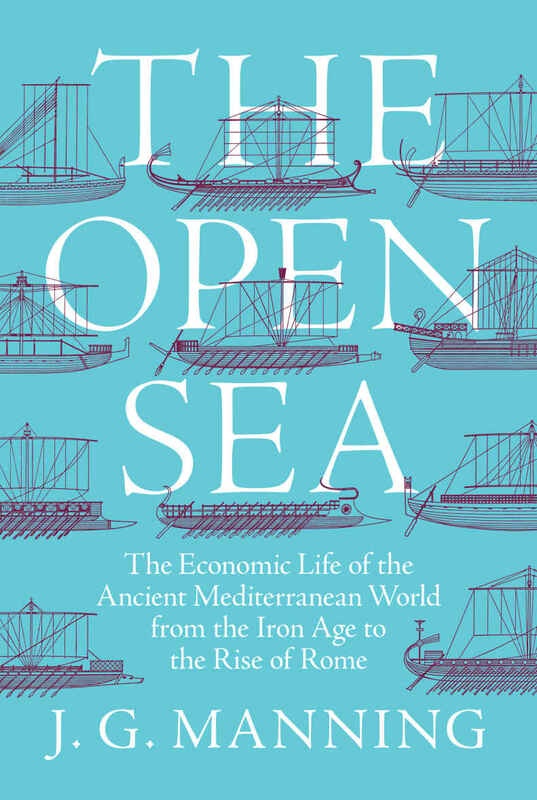 The Open Sea argues that the keys to understanding the region's rapid social and economic change during the Iron Age are the variety of economic and political solutions its different cultures devised, the patterns of cross-cultural exchange, and the sharp environmental contrasts between Egypt, the Near East, and Greece and Rome. The book examines long-run drivers of change, such as climate, together with the most important economic institutions of the premodern Mediterranean--coinage, money, agriculture, and private property. It also explores the role of economic growth, states, and legal institutions in the region's various economies. J. G. Manning is the William K. and Marilyn M. Simpson Professor of History and professor of classics at Yale University. He is the author of The Last Pharaohs: Egypt under the Ptolemies (Princeton) and Land and Power in Ptolemaic Egypt, and coeditor of The Ancient Economy: Evidence and Models.